Mike has over 30 years experience in the insurance agency business. After a brief stint in banking, Mike started in the business in Princeton, New Jersey and has worked for regional, main street and national brokers. Starting as a producer, Mike’s career has included many agency roles and responsibilities; including, branch manager, sales manager, construction group leader and most recently President of an operating company of one of the top 10 largest brokers in the Unites States. During his career Mike has also made sure to maintain his own book of business so as to stay in touch with clients and attuned to the latest industry trends. Mike has experience with a varied client base including manufacturing, financial institutions, construction, public entities, real estate, marine, high tech and program business . Mike is known for his expertise in construction and real estate insurance, surety and captive insurance programs. Holding the Certified Insurance Counselor and Construction Risk and Insurance Specialists Designation Mike is also the New England Regional Vice-President of the National Association of Surety Bond Producers, the national association for agencies specializing in surety and is also on the Emerging and Small Business committee of the NASBP. Mike has been a speaker at various construction industry events; including The Associated Subcontractors of Massachusetts, Structural Steel Fabricators of New England, National Utility Contractors Association and the Minority Business Enterprises of New Jersey. Mike has Joined forces with Bill Cleary III, to form Regan Cleary Insurance LLC. 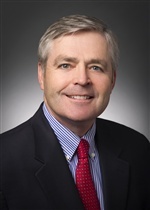 Working closely with Bill and the staff of Cleary Insurance Inc. it is Mike’s intention to bring the best of the offerings of the various agency platforms he has worked at to enhance the product offerings and client centric thinking of both Regan Cleary and Cleary Insurance. Having been involved with various community activities ; including being on the Advisory Board of “Compass for kids” Shelter for the Homeless and a volunteer at Franciscan Food Center at St. Anthony’s Shrine in Boston, Mike finds it very important to also give back to the community. Mike is a 1978 Graduate of the Boston College School of Management with a BS in Economics and a 1982 Graduate of Fairleigh-Dickinson University with a Masters of Business Administration.